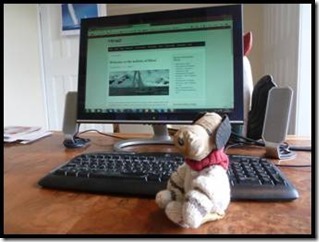 Snoopy said "It's high time the website of such an internationally important yacht is brought into the 21st century. The last one was rubbish. The website I am designing will be a multi-media pleasureweb, bringing to the public a cyber-array of cutting edge technology-driven blogs, logs, photos and videos with a global outreach. Designed to optimise interest value for fellow adventurers, seadogs and landlubbers alike, it will also incorporate many .kml driven interfaces giving unprecedented access to valuable GPS navigational data based on WGS84 coordinates. The ecological pawprint of this initiative will be minimal." 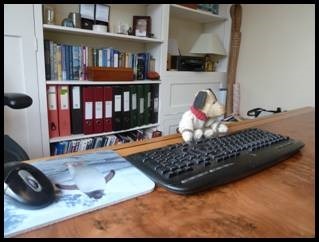 Tim Barker, President For Life of Mina2 Expeditions Inc. said "I am delighted that Pet Officer Snoopy has agreed to take on this important role. He has got to grips with this technology business far better than I could. He is the best dog for the job." Pet Officer Snoopy, faithful companion to the Upstairs Skipper, and valued member of the crew on Mina2's most epic adventures, is 245 years old.